Although he worked across a wide range of genres, John Ford is mostly known for his classic westerns. Films like Stagecoach and The Searchers are household names, and his cavalry trilogy has received considerable acclaim. One of his lesser-known productions is Wagon Master, which lacks the scale of Ford’s grand epics yet has plenty of admirers. Inspired by the Mormon Hole in the Rock Expedition in 1879, this story feels much different than the typical Ford picture. Ben Johnson made his name as a rodeo cowboy and stuntman, so the role of a horse trader supporting a wagon train is right up his alley. It went on to inspire the TV series Wagon Train, which aired for nine years. I knew little about this film going into the viewing, so I had few preconceived notions beyond my knowledge of the genre formula. The question is whether the more laid-back approach from Ford leads to engaging cinema. 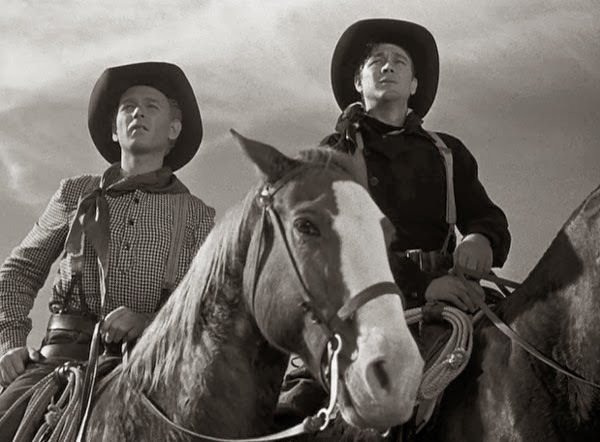 Travis Blue (Ben Johnson) and Sandy Owens (Harry Carey, Jr.) arrive in Crystal City to sell horses. They meet Elder Wiggs (Ward Bond), the leader of a group of Mormons taking a risky journey into the Utah Territory for a new life. They hire Travis and Sandy as their wagon masters, but trouble lurks on the horizon. When the nefarious Clegg family arrives and starts wreaking havoc, Travis must decide how far he’ll go to protect his new associates. How does Ford present the United States and its history? Ford is intrigued by the Mormon community and puts them on a pedestal as representing the American dream. They’re trying to build a new life for themselves away from the hateful eyes of civilization. The Crystal City residents treat them with disdain, and it’s clear that Elder and his group should set up their own society. Ford idealizes their plans and doesn’t question whether it’s the right choice to venture into the wilderness. It’s a far cry from something like Kelly Reichardt’s Meek’s Cutoff, which paints a wagon train as a desperate move with little chance of ultimate success. The Mormons aren’t prepared to fight back against villains, but they aren’t painted as naïve pacifists. They’re shown as being above the mayhem, and that leaves them vulnerable to the cruel forces of the wild. How does the physical environment play a role in this story? Wagon Master’s budget was just shy of $1 million, so Ford couldn’t produce as many expansive outdoor shots. Even so, there’s still a sense that the story is on that scale. 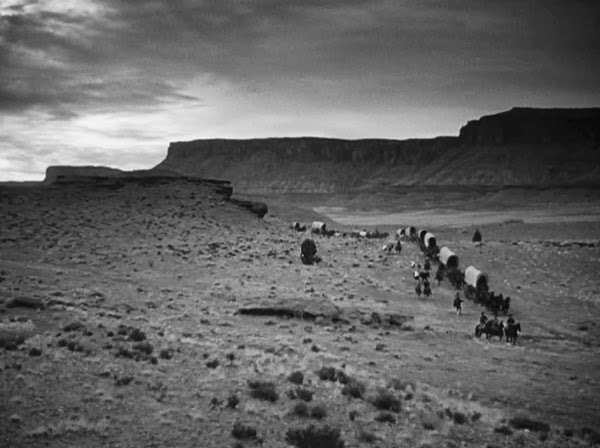 A key moment puts the camera high above the wagon train and offers a nearly silent look at their progress. There’s an ominous feeling that dangerous enemies are observing them and preparing to strike. The landscape is still a major obstacle, and a trek up a mountain raises the stakes for everyone. The remarkable stunt work brings a true sense of danger to every move, particularly when the wagons are rambling up the rocks at high speeds. Although the scenery is gorgeous, the danger remains prevalent within this beautiful environment. If there’s any significant issue, it rests with the characters. Ben Johnson (The Last Picture Show) has a strong physical presence, but he’s too much of a straight arrow to bring much depth. The Mormons are mostly one-note figures, though Ward Bond stands apart with his tantrums and energy. The villains are also pretty forgettable with the exception of the devilish Charles Kemper as Uncle Shiloh. He revels in playing the nasty villain and enjoys twisting the game for his innocent victims. The Cleggs are introduced in a pre-credits teaser that was unique for the time period. It shows their use of violence without hesitation and raises the stakes when they return later. 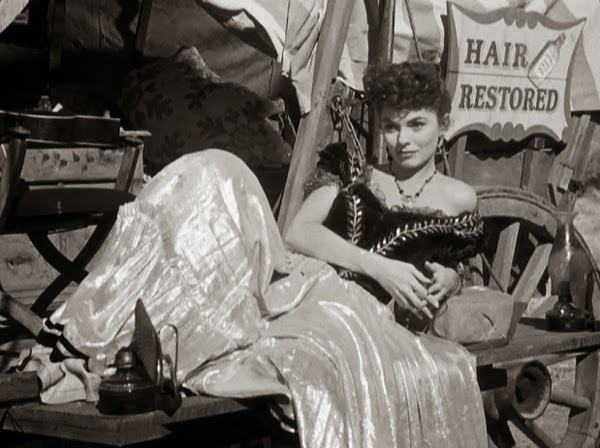 Despite playing an unconvincing drunk, Joanne Dru (Red River) is fine as Denver. She falls too much into the standard love interest category as the story rolls along, but Dru gives her some interesting touches. Does this film still feel relevant in our modern age? Given the prevalence of music from the Sons of the Pioneers, this probably wouldn’t be my first recommendation to dig into Ford’s career. 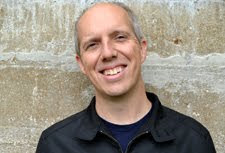 The pacifist theme also may frustrate viewers who want Travis to take down the Cleggs earlier. It’s the type of story that will charm genre fans who want something different. 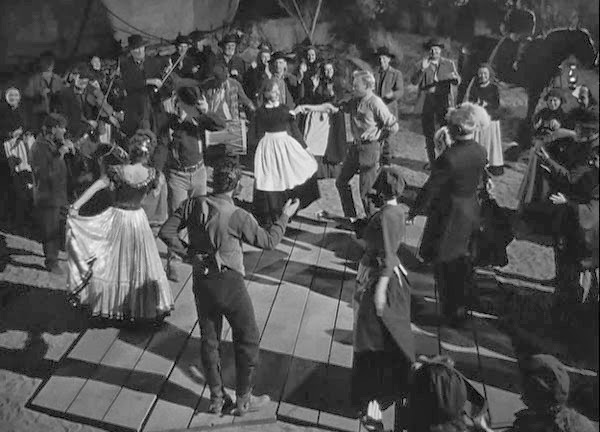 There are few of the typical western showdowns, and scenes veer off in unexpected directions. One of the most interesting sequences involves the arrival of the Navajo, who initially seem like a threat. Ford subverts our expectations and makes them allies who aren’t seeking violence against the Mormons. This communal aspect may surprise you and does help the film to stand apart from the typical ‘50s westerns. Even so, it could be a tough sell if you aren’t invested in the genre. In his Ford biography Print the Legend, Scott Eyman describes Wagon Master as one of Ford’s favorite experiences. Does that enjoyment carry over into the film? It’s clear that Wagon Master is a different kind of Ford film. 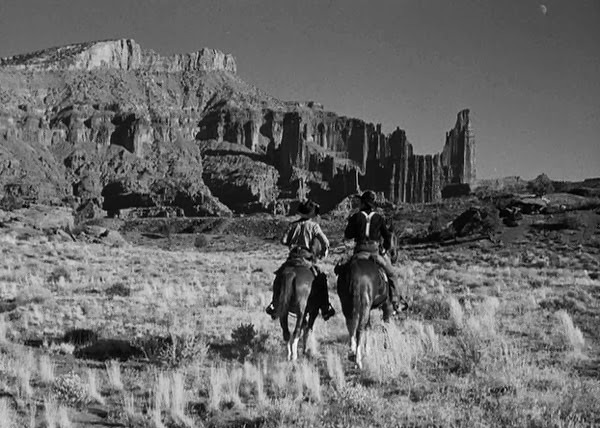 The lack of frequent stars John Wayne and Henry Fonda makes it unique, and the focus on communal bonds over the individual is a departure. We spend a lot of time at dance parties and just living on this wagon train. There’s an episodic feeling to the story, which makes it perfect for a TV show. I wouldn’t put it at the top of my Ford rankings, but it’s hard to disagree with those who love it. There’s a breezy feeling to this film that I’ve rarely seen in his other work. The story doesn’t over stay its welcome, and the characters are easy to like. There are limited complexities, but this relaxed quality makes for an engaging presentation. Next week, I’ll travel back to the Revolutionary War for the Drums Along the Mohawk. I am the Wagon Master!